The AA is urging anyone who’s had a number plate stolen to report it to the police as figures show at least 25,000 number plates are stolen every year with many remining unreported. Following a Freedom of Information request to police forces, the AA found that the Metropolitan Police recorded the most thefts with 32,307 over the 45-month period since the beginning of 2015. The West Midlands reported the second highest number with over 12,000 number plate thefts since 2015 and 2,352 so far this year and third was Greater Manchester with 9,310 since 2015 and 2,221 registration plates reported stolen so far this year. Jack Cousens, head of roads policy for the AA says; “While a small percentage of the UK’s national vehicles suffer the inconvenience and frustration of having their number plate stolen, it is an incredibly serious issue. 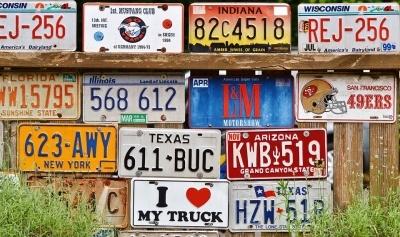 “Stolen plates are often cloned and put onto other vehicles. These are then used to cover up further criminal activity, such as selling stolen cars or burglary. “More than a quarter (28%) of drivers say that if one plate were missing from their vehicle, they wouldn’t report it to the police. It's important to report any number plate theft as the innocent victim could end up receiving speeding tickets and other traffic fines. In a recent survey of more than 20,000 AA members, a fifth (18%) of drivers said that if they were missing one number plate, they would assume it had fallen off and not report to the police. However, if their car were missing both of its number plates three quarters (76%) would report it to the police. The AA says it's important to report any number plate theft.